Like most, Nicole O’Malley had no idea what she wanted her future career to look like when she was young. When her band teacher asked the class to combine two of their passions to imagine their dream job, she chose teaching and music. These two passions ultimately led her to a career in music therapy. Possessing an M.A. 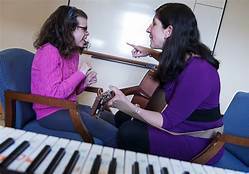 in Music Therapy from Berklee College of Music and a B.A. in Music Therapy from Anna Maria College. Nicole was frustrated after her studies when she was unable to find a job in her field. Instead of switching careers, Nicole decided to create her own company; one year after receiving her degree from Anna Maria, Nicole founded Hands in Harmony. Now with the tools, networks, and support she needed to run a business, she began to mold her company to meet the needs of so many patients using the skills and knowledge she had developed as a student. The American Music Therapy Association describes music therapy as “the clinical and evidence-based use of music interventions to accomplish individualized goals within a therapeutic relationship by a credentialed professional.” While the field is well researched and proven to be effective, when she was starting the venture, Nicole realized that there is a need for awareness of music therapy and advocacy for its use as a legitimate treatment, which is a critical component to the business. Over the past 13 years the field has come a long way. Hands in Harmony patients include people with autism, Alzheimer’s Disease, cancer, chronic pain, substance use disorder, and much more. Hands in Harmony sees more than 1500 patients a year (up from from 3 patients in 2003 and 85 in 2007). You can keep an eye out for Hands in Harmony’s announcement through following their Facebook and Twitter! 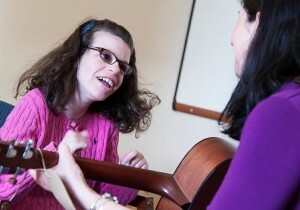 For more information on music therapy, check out their website. Zara is a 2018 graduate of Wheaton College where her majors were English and Political Science. During her junior year, she went abroad to Senegal, Italy, and China to study African migration and entrepreneurship. It was through this experience that she fell in love with the field of social entrepreneurship. 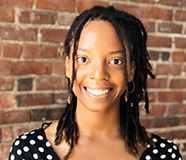 As the Communications Coordinator AmeriCorps VISTA, she will be working alongside the wonderful Crystal Rosatti helping to build and maintain SEG’s relationships with universities, organizations, and other institutions across the state.